State Rep. Kathleen Curry has decided she cannot pursue a bill next session that’s on the top of the Pitkin County commissioners’ wish list.Curry said she will not sponsor legislation to change the Colorado Constitution to allow local governments to seek voter approval for a real estate transfer tax. 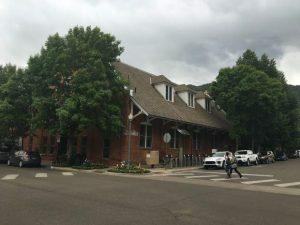 The bill lacks some key support, Curry said in a recent interview, and the timing to seek such a change isn’t right.”I don’t blame her, but I’m really disappointed,” said Pitkin County Commissioner Dorothea Farris. A real estate transfer tax is touted by Farris as a possible way to raise funds for affordable housing and transit solutions.The booming real estate market has the county commissioners and other elected officials in the valley yearning to tax sales of land, homes and commercial property. A change to the state constitution has prohibited new real estate transfer taxes, known as RETTs, since 1992. 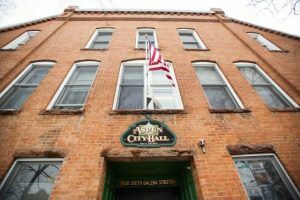 That change, known as the Bruce Amendment after author Douglas Bruce, restricts the ability of governments to collect new revenues.The city of Aspen’s two separate RETTs were unaffected by the restrictions. Real estate transfer taxes that were in place when the Bruce Amendment was approved were “grandfathered” in.Aspen’s revenues show why a tax on real estate sales is so coveted by other governments. A .05 percent transfer tax dedicated to restoration, debt service and maintenance of the Wheeler Opera House raised $5.3 million last year, according to the city finance department. Another 1 percent RETT for affordable housing and early childhood programs raised $9.48 million last year.Bill lacks a champion Curry said the Pitkin County commissioners have asked her to carry legislation that would enable local governments to seek a RETT on “a number of occasions.” She strongly considered it this year, but couldn’t find an organization with statewide clout that was willing to champion the cause in the legislature.Colorado Municipal League, an association of cities and towns in the state, wouldn’t lobby for the legislation. “They were lukewarm to put it mildly,” Curry said.The Colorado Association of Ski Towns also declined to take the lead, according to Curry. CAST director Jacque Whitsitt of Basalt said the membership likely would have supported legislation for a real estate transfer tax if some other group would have taken the lead.Several CAST-member cities already collect a real estate transfer tax. In addition to Aspen, the tax is collected in Avon, Breckenridge, Crested Butte, Frisco, Snowmass Village, Telluride, Vail and Winter Park. Some members with an existing tax are concerned that if the legislature fiddles with the constitution regarding a RETT, it could take away rather than enhance their ability to use it, Whitsitt said.Pitkin County Commissioner Patti Clapper said other state and regional organizations have indicated they will support a RETT. 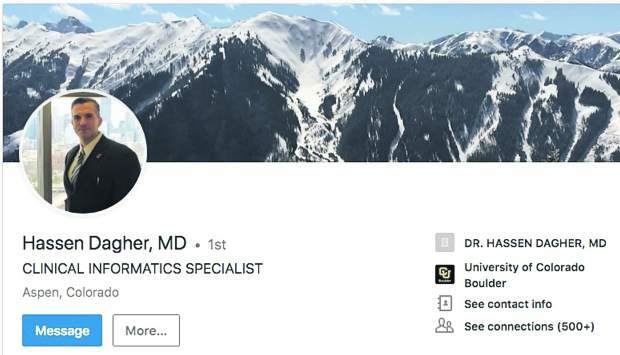 The supporters include the Colorado Counties Inc., a lobbying organization for all counties in the state, and the Northwest Colorado Council of Governments.Clapper said she wished Curry would have waited to see about other support before deciding not to sponsor legislation. Clapper said Pitkin County and other supporters of the legislation will see if they can find a different sponsor after the dust clears from the Nov. 7 election.”I don’t think we’ll have a problem finding someone to sponsor it,” Clapper said.’Bureaucratic excuse’ by leadership?Curry, a Democrat from Gunnison, has a good relationship with the Pitkin County commissioners. She said she told the county’s lobbyist that prospects for a RETT didn’t look good for the coming session, which will start in January.Farris said she felt Curry doesn’t want to “get beat up” over the bill.Curry said timing is also an issue with a RETT bill. Colorado voters approved Amendment C last year, which alters the Bruce Amendment for five years and allows the state government to keep extra tax revenues. But the House Democratic party leadership wants to approach voters with another proposal to permanently change the Bruce Amendment before that five-year “time-out” expires, according to Curry.The leadership felt it would be a mistake to change a small part of the Bruce Amendment now regarding RETTs, she said.Farris isn’t buying that reasoning. “That’s the excuse they give all the time,” she said. 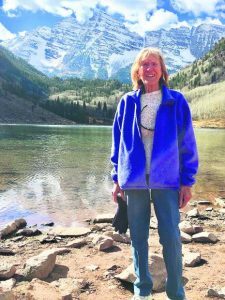 “I just buy it now as a bureaucratic excuse.”Farris said she could except that reasoning if the House leadership followed through with a specific plan to alter the Bruce Amendment.Scott Condon’s e-mail address is scondon@aspentimes.com.